Welcome to parents, families and friends of Room One children. We have had a very happy start to our year and we are looking forward to sharing our learning with you. 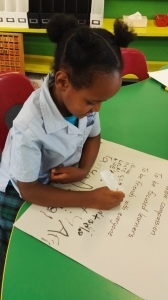 We also welcome Ms K who will be working with us this year. 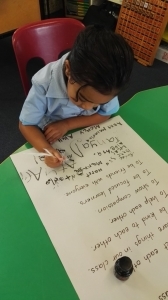 This week we have been writing our Class Treaty. 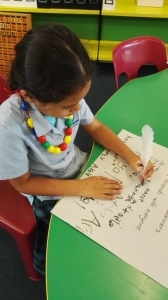 We also learned about the Treaty of Waitangi. Today we signed our treaty with a feather and ink, just like they did back when the Waitangi Treaty was signed.